We want to take you on a journey to the hidden beaches and coves of Croatia. Find ancient historic places and old cities on islands or along the coast and experience an unforgettable sailing trip on our top maintained sailboats. Our base is located in the Yacht Club Baotić, in Seget Donji, close to a fishing village near the town of Trogir, whose old town is a UNESCO World Heritage Site. Whether immediately after arrival or the day after you are able to reach safe anchorages or moorings in sheltered marinas on the islands of Solta and Brac or in the cities of Rogoznica, Primosten and Split ashore in a short time. A variety of wonderful destinations that make the sailor's heart beat faster! 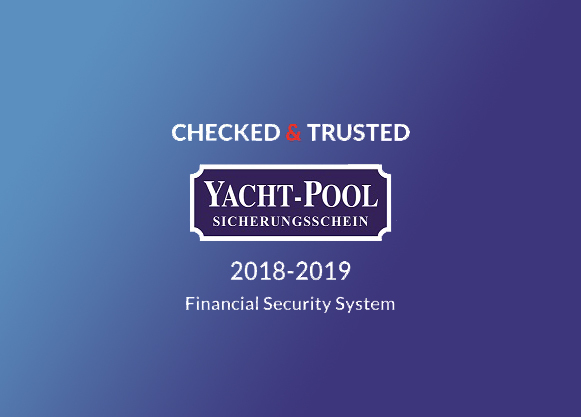 The Austrian and Croatian company co-operation promises a very important personal advice in all matters - we speak your language, fulfill your holiday wishes and help in the selection of yachts. From a company perspective we are a young company, but our "know-how" goes far back. Rudi and Danijel, two old but always good-humored and obliging lads for all your concerns, in beginning of booking untill the end of your sailing trip. We guarantee first-class quality with our name. Unforgettable moments for the whole family and friends to live life the way it makes you happy. Jadranka Yachting is a limited liability company that belongs to the Jadranka Group, the largest tourism and trade joint stock company on the islands of Cres and Lošinj comprising 6 hotels, 4 camps, and a range of catering and retail facilities. This represents a guarantee that Jadranka Yachting offers complete and good-quality nautical services. Our fleet of new and completely equipped ELAN sailing boats is located in Mali Lošinj, the largest island city in Croatia situated on the island of Lošinj. Due to its geographic position, Mali Lošinj is an ideal port of departure. After spending an active vacation, experience Lošinj, an oasis of greenery surrounding our villas, apartments, camps, and hotels.